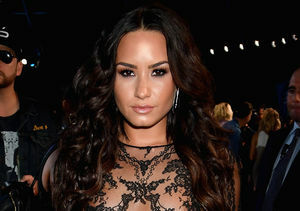 Over the weekend, Demi Lovato was a vision in red as she was honored at the star-studded summer gala for the Brent Shapiro Foundation, which was started by famed attorney Robert Shapiro after losing his son Brent to a drug overdose. While receiving the Spirit of Sobriety award, Lovato shared with Mario, “It’s kind of incredible because it's coming full circle and I came to this event six years ago and I didn’t stay sober, now getting this award six years later, I’ve had five and a half years sober since then." Would Demi Lovato Ever Be a Judge on ‘American Idol’? Of her workout regimen, Lovato revealed, “I prioritize my workouts daily except for Sunday. Sundays are my day off. I make sure that I have an hour to two hours every morning and it’s either jujitsu mixed martial arts or cardio strength training."